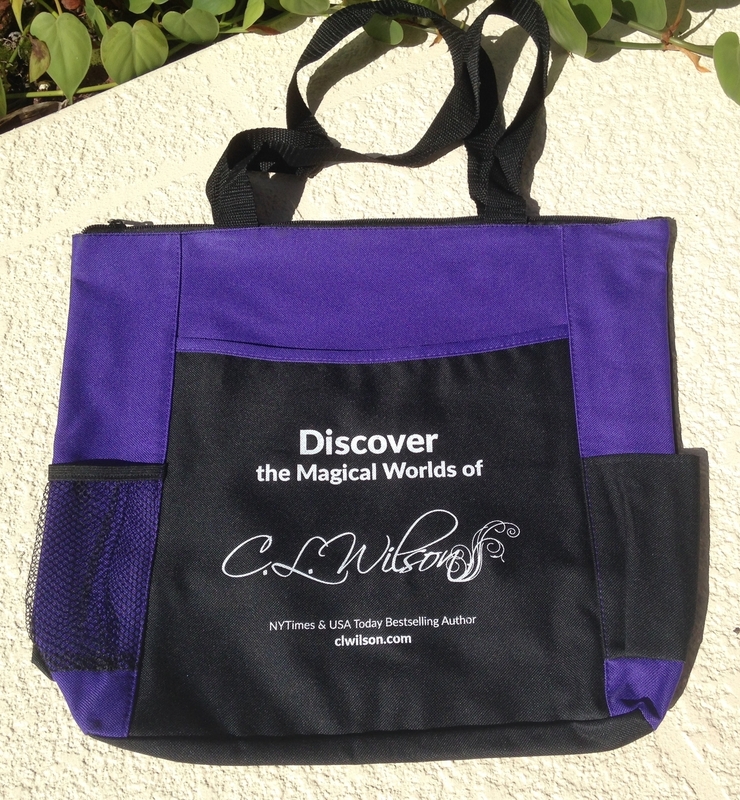 Carry your books and C.L. 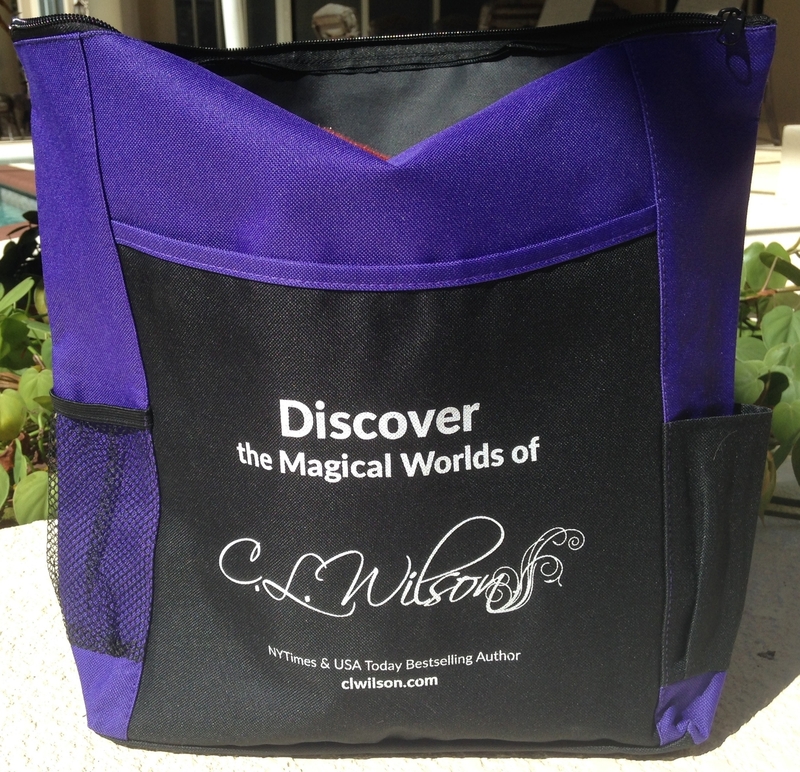 Wilson collectibles in style with this gusseted, zippable C.L. Wilson tote. 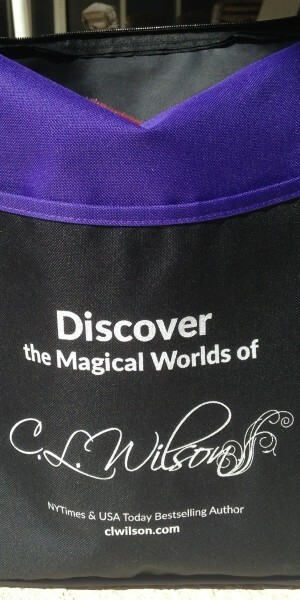 Purple and black, with mesh side pockets to hold small water bottles, or cell phones, the tote has two general shoulder straps, a gusseted bottom for roominess, and a zip to close the main compartment. 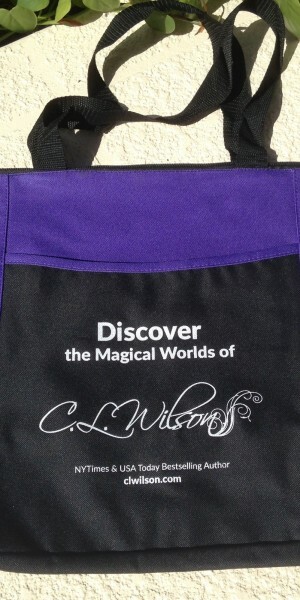 Each tote is imprinted with the white Discover the Magical Worlds of C.L. Wilson logo. Size 15″ high, 12″ wide, with a 5″ deep bottom. Weight 7 oz.